Printed voile fabric is great for crafting, home decor and interior designing, scarves, bridal wear, lining and so much more. Voile printing with your personalised design produces a beautiful semi-transparent material. Use our made to measure voile, with your photos, images or text, to get started on your next custom project. Voile is the same texture on both the front and back sides, which is a very fine textured mesh which feels like a very fine, delicate net. Extremely lightweight, it is incredibly airy, which lends itself to flags, blouses and dresses. Due to its transparency, you may want to consider a backing if making a garment from your printed voile fabric, and voile itself is a great lining material for other fabrics. 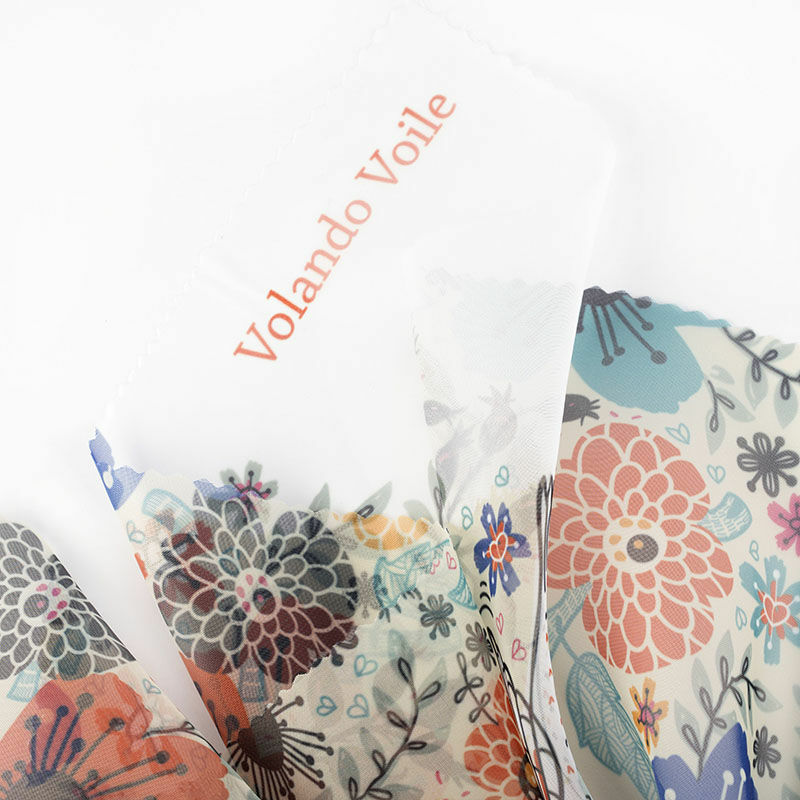 Volando Voile has a crisp texture which feels light and airy on the skin, with a natural flowing drape, whereas Voille de Ville has a stiff, structured nature which gives it a manipulative structure; holding its shape well and falling easily back into its natural condition. It has a slight stretch in the bias and the diagonal. Both made to measure voile fabrics have a print quality that is exceptional; Clear, clean lines, with intricate detailing reproduced with an amazing level of accuracy and strong colour intensity. Bespoke fabric needed for a leaving gift! Nicely printed on Rip-stop fabric and done speedily and without problems. Thank you! I had a big ancient map printed on fabric, the people at Bags of Love helped me on the phone to choose the best fabric for what I needed from hundreds of fabric in stock. the website is very clear and full of choices. the quality of both, the print and the fabric was excellent and the delivery was very quick. I really recommend these guys. Voile is a sheer, lightweight fabric which is very fine. It can be made from a variety of different fibres, both natural or man-made, which are high-twist and woven in plain weave. Voile is French for veil, and this fabric gets that name as it was originally used as a veiling fabric. The yarns in voile fabric are known as "voile yarns" as they have been twisted together more than in normal yarns (but not quite as much as in crepe yarns) to create a rounded single yarn. Sometimes these are twisted together with another single yarn, in the same direction, to create a two-fold voile yarn. Due to its soft sheer nature, voile is commonly used in bridal wear but is also ideal for crafting, creating linings, scarves and clothing and dressmaking too, as well as home interior items. You have different finishing options for your printed voile fabric. We can send it to you as it comes off the printer, with an undyed border around the edges, or we can cut your personalised design on the line, removing all of the white space. 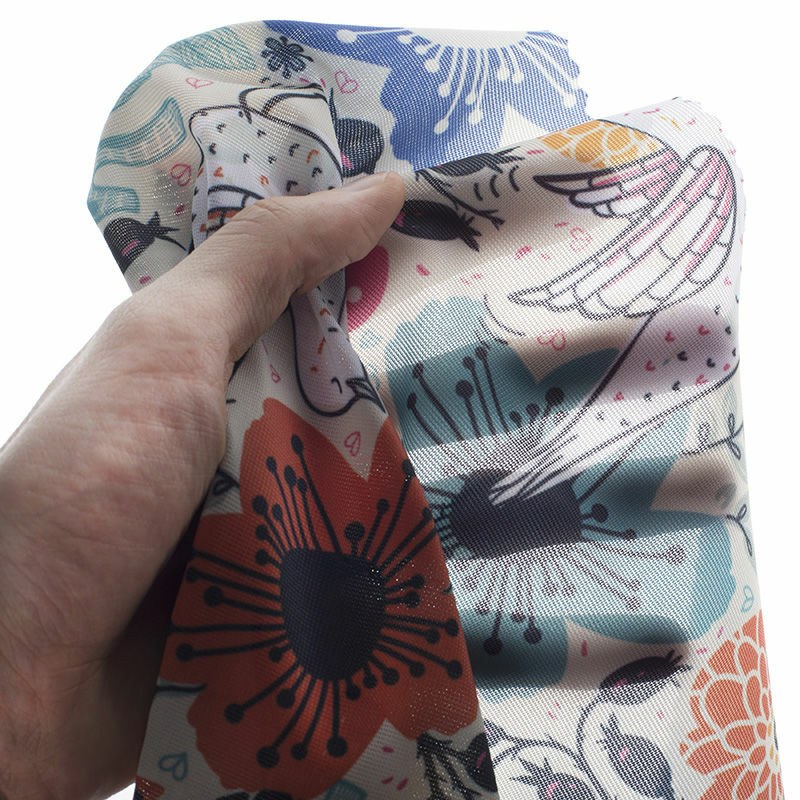 You may prefer to have one of our expert seamstresses hem your printed voile fabric. If so, then you can choose either black or white thread, and either an overlock or folded hem. If you choose to have your voile printing hemmed, please ensure to allow 6-8 mm on each side for fabrics up to 100 gsm, and 15-20 mm for other fabrics. All your custom made printed voile fabric orders are printed digitally. We use different methods for this based on the type of textile that is being used. These methods include pigment printing, which prints onto a localised part of the fabric with coloured dyes, building up your personalised design. Another method we use is dye sublimation. This is a two-step process in which we first print your design onto a transfer paper, and that is then bonded using heat to the fabric itself. 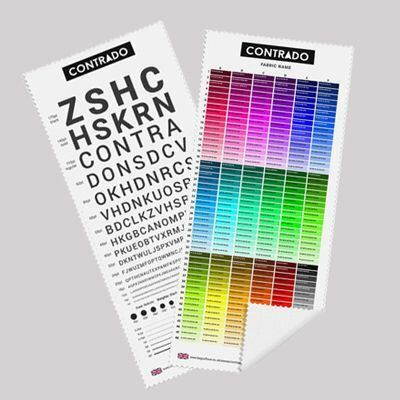 Both of these methods create a lasting, full-colour print.